MUMBAI (March 6): Tata Steel Ltd is still in talks with Germany's ThyssenKrupp AG about a potential merger of their European steel assets, the Indian company said on Monday. The statement was in response to reports in the British media on Sunday that India's largest steel company might be in the process of calling off a potential deal with the Germans. The company is in "constructive discussions" with ThyssenKrupp, said Tata Steel. "However, until a definitive agreement is reached, there can be no assurances that these discussions will result in a transaction." Tata Steel began talks with ThyssenKrupp last July after it called off the sale of its Port Talbot works in Wales because of uncertainty caused by the Brexit vote and its burgeoning pension liabilities. A deal would cut costs and reduce overcapacity but Thyssenkrupp Chief Executive Heinrich Hiesinger warned in January that it would take time and may yet fail. Thyssenkrupp has looked at the option of splitting its European steel business into a separate company that could be floated if a merger does fall through, German weekly WirtschftsWoche reported last week. 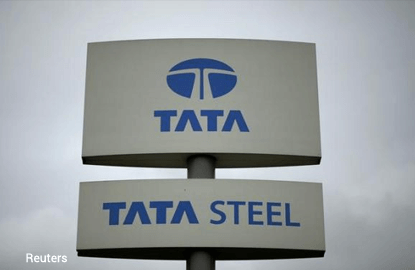 Reuters reported in February that the deal faces extensive delays as the German major would not go ahead with the tie-up unless the pension liabilities of Tata Steel's UK assets are carved out into a separate entity. However, the separation is a cumbersome exercise and involves significant issues. Tata is currently involved in seeking regulatory approval to spin off the 15 billion pound scheme. But the regulator is still not convinced about "imminent insolvency" of Tata Steel UK — a precondition for separation.